We have a vast array of knowledge with experienced contractors, ensuring that all projects are completed as quickly and efficiently as possible. 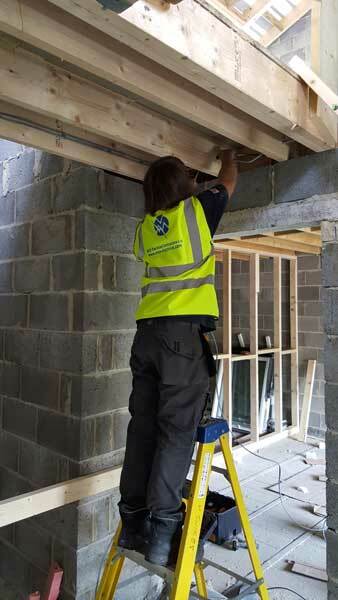 With a dedicated in-house team of domestic electrical contractors, we can provide a various range of options and solutions that will allow contractors to safely complete their jobs whist also being as minimally invasive to properties. Our vast experience and knowledge as electrical contractors allow us to cater for any type of house and electrical solutions required. Our contracts team re-evaluates our customers’ needs constantly, to ensure customer demands are met on a daily basis. For large projects such as housing development sites, MCE Electrical are able to provide a large array of electrical installations, meeting all of your needs. MCE Electrical are an NICEIC approved contractor, meaning we are regularly assessed to the highest standards across all domestic installations. 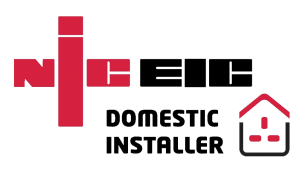 The NICEIC Domestic Installer scheme covers contractors who complete installation work in domestic properties.